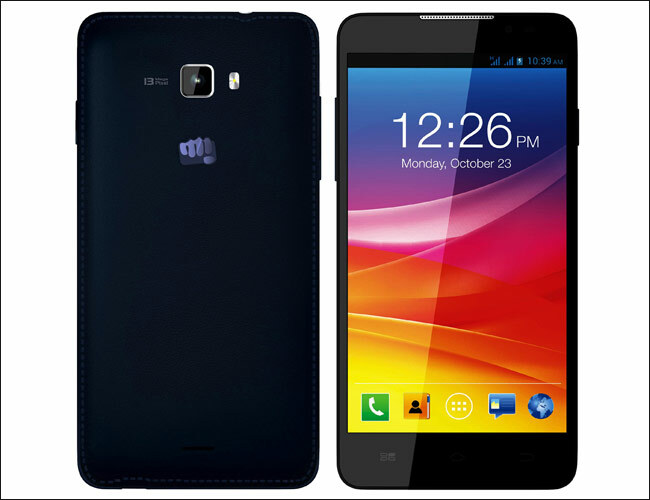 On last Monday Micromax has launched his New Smartphone The Canvas Nitro (A310) in India, priced at Rs. 12,900, with the exclusive availability via Snapdeal the same day after 2 pm IST. 5 Inch HD Display (720×1280) IPS display with an oleophobic Coating. Canvas is available in Mesmersing blue, white. Powered by a 1.7Ghz octa-core mediate MT6592 processor. 5MP front-facing focus camera and 13MP rear autofocus camera. Canvas includes GPRS/EDGE. 3G, Wi-Fi, Micro-USB, GPS/ A-GPS, Bluetooth 4.0, 3.5mm audio jack and FM radio. 8GB of in-built storage (5.68 user available) which can be expanded via MicroSD card up to 32GB.